Robert William Bates (nicknamed “Basher”) (12 December 1948 – 11 June 1997) was an Ulster loyalist from Belfast, Northern Ireland. He was a member of the Ulster Volunteer Force and the infamous Shankill Butchers gang, led by Lenny Murphy. Bates was born into an Ulster Protestant family and grew up in the Shankill Road area of Belfast. He had a criminal record dating back to 1966, and later became a member of the Ulster loyalist paramilitary organisation, the Ulster Volunteer Force (UVF). Bates, employed as a barman at the Long Bar, was recruited into the Shankill Butchers gang in 1975 by its notorious ringleader, Lenny Murphy. The gang used The Brown Bear pub, a Shankill Road drinking haunt frequented by the UVF, as its headquarters. Bates, a “sergeant” in the gang’s hierarchy, was an avid participant in the brutal torture and savage killings perpetrated against innocent Catholics after they were abducted from nationalist streets and driven away in a black taxi owned by fellow Shankill Butcher, William Moore. The killings typically involved grisly-throat slashings preceded by lengthy beatings and torture. Bates was said to have been personally responsible for beating James Moorhead, a member of the Ulster Defence Association, to death on 30 January 1977 and to have played a central role in the kidnapping and murder of Catholic Joseph Morrisey three days later. He also killed Thomas Quinn, a derelict, on 8 February 1976 and the following day was involved in shooting dead Archibald Hanna and Raymond Carlisle, two Protestant workmen that Bates and Murphy mistook for Catholics. 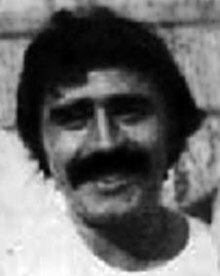 Martin Dillon revealed that Bates was also one of the four UVF gunmen who carried out a mass shooting in the Chlorane Bar attack in Belfast city centre on 5 June 1976. Five people (three Catholics and two Protestants) were shot dead. The UVF unit had burst into the pub in Gresham Street and ordered the Catholics and Protestants to line up on opposite ends of the bar before they opened fire. He later recounted his role in the attack to police; however, he had claimed that he never fired any shots due to his revolver having malfunctioned. Forensics evidence contradicted him as it proved that his revolver had been fired inside the Chlorane Bar that night. Lenny Murphy was in police custody at the time the shooting attack against the Chlorane Bar took place. Bates was arrested in 1977, along with Moore and other “Shankill Butcher” accomplices. 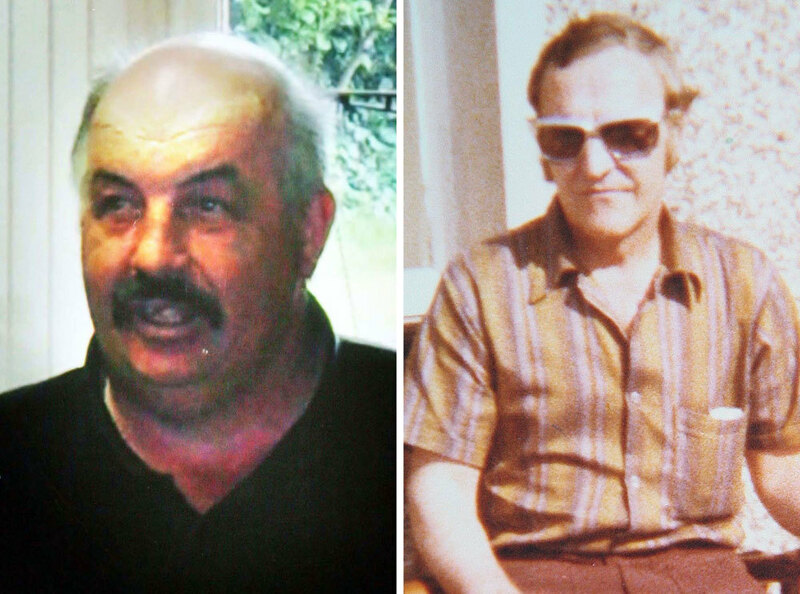 His arrest followed a sustained attack by Moore and Sam McAllister on Catholic Gerard McLaverty, after which they dumped his body, presuming him dead. However McLaverty survived and identified Moore and McAllister to the Royal Ulster Constabulary who drove him up and down the Shankill Road during a loyalist parade until he saw his attackers. During questioning both men implicated Bates, and other gang members, leading to their arrests. Following a long period spent on remand, he was convicted in February 1979 of murder related to the Shankill Butcher killings and given ten life sentences, with a recommendation by the trial judge, Mr Justice O’Donnell, that he should never be released. At the start of his sentence, Bates was involved in a series of violent incidents involving other inmates. Bates later claimed that he had perpetrated these acts in order to live up to his “Basher” nickname. He served as company commander of the UVF inmates and became noted as stern disciplinarian. However while in the Maze Prison, he was said to have “found God”, and as a result became a born-again Christian. He produced a prison testimony, which was later reprinted in The Burning Bush, and, after publicly advocating an end to violence, was transferred to HMP Maghaberry. In prison, Bates formed a friendship with Provisional IRA member and fellow detainee Brendan Hughes. Bates foiled a UVF assassination plot on Hughes. In October 1996, 18 months prior to the signing of the Good Friday Agreement, Bates was cleared for early release by the Life Sentence Review Board. He was given the opportunity of participating in a rehabilitation scheme, spending the day on a work placement and returning to prison at night. As he arrived for work in his native Shankill area of Belfast early on the morning of 11 June 1997, Bates was shot dead by the son of a UDA man he had killed in 1977. The killer identified himself to Bates as the son of his victim before opening fire. Bates had been working at the Ex-Prisoners Interpretative Centre (EPIC), a drop-in centre for former loyalist prisoners. Bates’ killing had not been sanctioned by the UDA leadership but nevertheless they refused to agree to UVF demands that the killer should be handed over to them, instead exiling him from the Shankill. He was rehoused in the Taughmonagh area where he quickly became an important figure in the local UDA as a part of Jackie McDonald‘s South Belfast Brigade. Bates’ name was subsequently included on the banner of a prominent Orange Lodge on the Shankill Road, called Old Boyne Island Heroes. “it hurts the memory of those the butchers killed”. “I knew him very well and he’d been a personal friend for twenty or thirty years and to me he was a gentleman”. “an easy-going, decent fellow, and as far as the Lodge is concerned, a man of good-standing”. He was a buried in a Free Presbyterian Church of Ulster ceremony by Reverend Alan Smylie. Bates’ funeral was attended by a large representation from local Orange Lodges. Robert “Basher” Bates, who was gunned down in Belfast yesterday, was an icon. To some he represented the very worst that the troubles has produced: to others he was testimony that even the most brutal terrorist might not be beyond redemption. Two decades ago the 10 murders he was involved in were among the most barbaric ever seen. He shot some of his victims but others he killed in the most cruel fashion, he and his associates wielded butcher’s knives, axes and cleavers on random Catholic victims. The Shankill Butchers slaughtered human beings as one would animals. The horror of those killings took Belfast to a new low. Yesterday his death conjured up the most appalling vista of all: that the IRA was intent on regenerating the troubles. The relief was palpable when it emerged that he had been killed not by the IRA but by a loyalist, in what is thought to have been personal revenge for the murder by Bates of a close relative, 20 years ago in a bar room brawl. Basher Bates was one of hundreds of convicted killers released after serving an average of 15 years behind bars. There are hundreds of unsettled personal grudges in Northern Ireland: quite a few people know, or think they know, who killed their fathers or other loved ones. Yet this seems to have been the first personal revenge killing of a released prisoner. While loyalist groups have accounted for close on 1,000 of the 3,500 victims of the Troubles, the ferocity and awfulness of the Shankill Butchers’ killings have remained in the public memory for two full decades. A book dwelling on the graphic details has been a local bestseller for 20 years, and can still be picked up in many of the garage shops of Belfast. It was, for example, the favourite reading of Thomas Begley, the young IRA man who four years ago carried a bomb into a Shankill Road fish shop, killing himself and nine Protestants. Bates was not the prime mover in the Shankill Butchers gang: that was UVF man Lennie Murphy, who was shot dead by the IRA in 1982. But he was one of the leading lights during their two-year reign of terror, and one photograph of him, looking like an unshaven, unkempt dullard, has remained lodged in the communal memory as a vision of a psychopathic killer. The judge who gave him 16 life sentences for his killings told him, correctly, that his actions “will remain forever a lasting monument to blind sectarian bigotry.” When he told him he should remain behind bars for the rest of his natural life, society shuddered and hoped it had heard the last of Basher Bates. But Northern Ireland has a scheme, not found in the rest of the UK, for the release of even the most notorious killers, and more than 300 loyalists and republicans have been quietly freed over the last decade. Many of these former lifers engross themselves, as Bates seemed to be doing, in community or welfare work. Basher Bates made a long and painful journey from merciless assassin to man of God. His personal odyssey seemed to be over: neither he nor anyone else could have foreseen the fateful circularity which in the end transformed him from killer to victim.